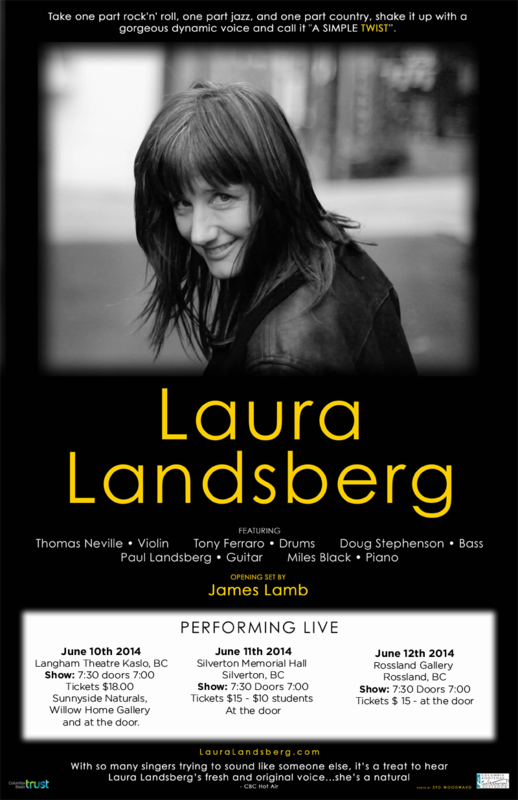 “With so many singers trying to sound like someone else, it’s a treat to hear Laura Landsberg’s fresh and original voice….. she’s a natural”. “As an evolving vocal artist of great depth, Laura has defined her rich life in music with such elegance and honesty that this collection of classic compositions will communicate and uplift all in it's sonic path”. “A remarkably fresh and unpretentious singer”. 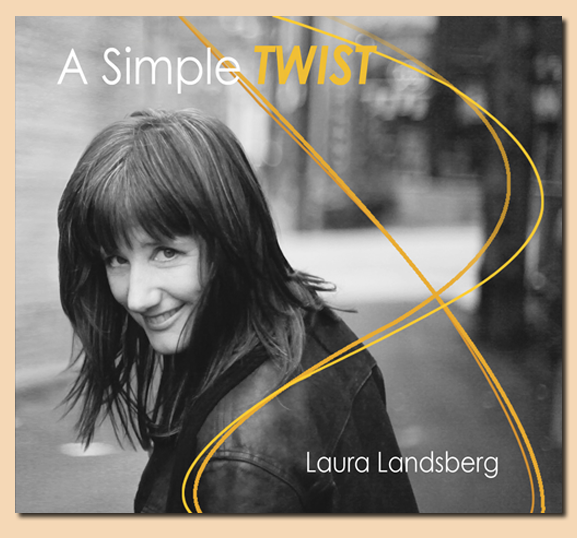 “Laura Landsberg is a rare vocalist, one who can cross almost any genre with a range of expression and emotion that draws you into anything she decides to sing. She is widely known as a wonderful Jazz and R and B singer. On her latest recording, A Simple Twist, she stretches out and explores new territory, all with her trade mark virtuosity. Willow Home Gallery and at the door.